It’s that time of year again… Christmas Bird Count season! 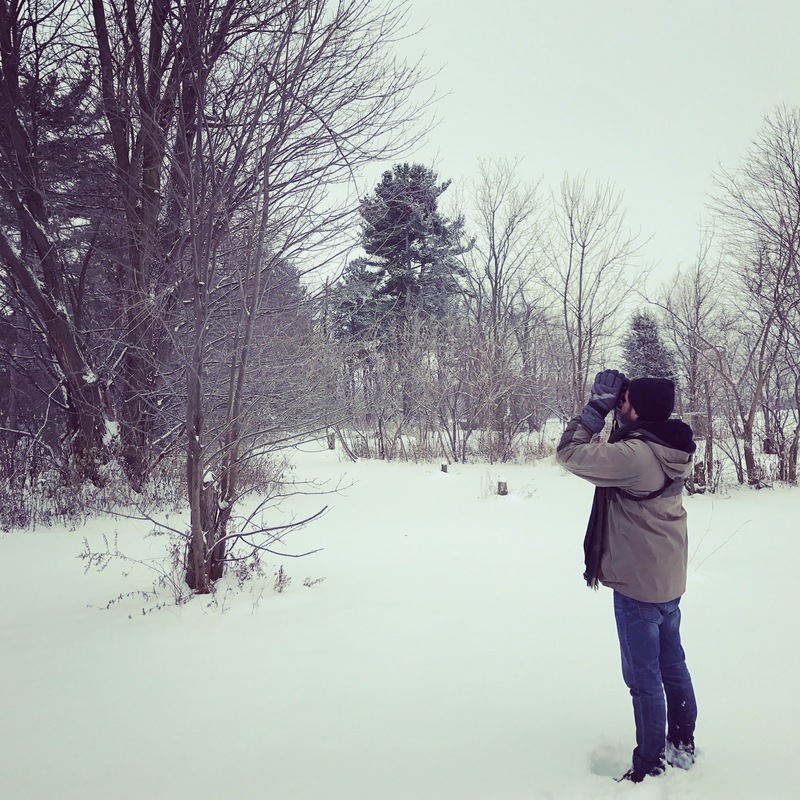 If you’re not familiar, a Christmas Bird Count, or CBC for short, is a day long event where volunteers count birds within a 24km diameter circle (count circle). 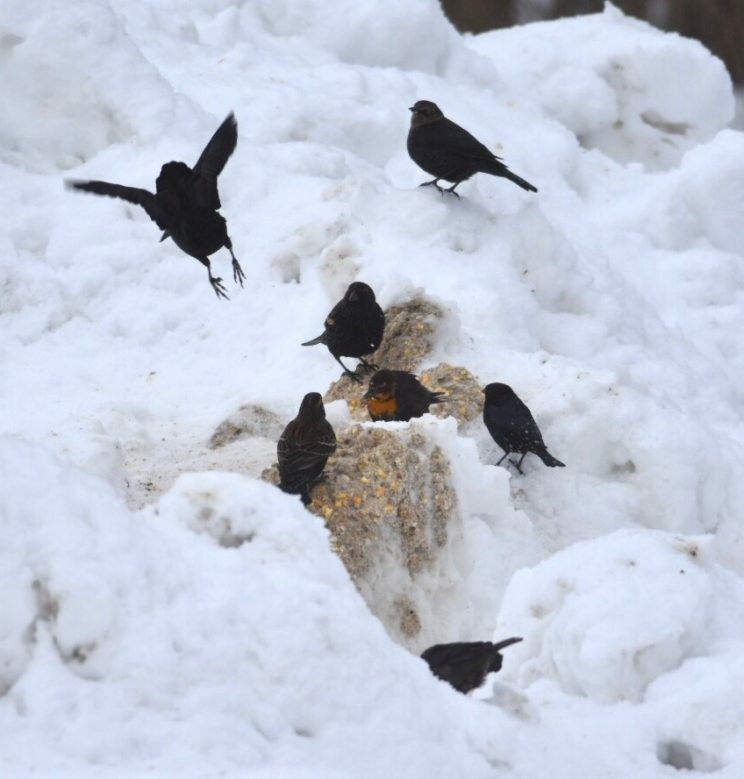 CBC’s take place between December 14 and January 5 every year and the data collected is used to assess population trends and distribution of birds. I will be participating in 3 counts this year – Cedar Creek, Holiday Beach, and the Detroit River Count. I’m actually co-organizing the Holiday Beach count with Jeremy Hatt. These events are a lot of fun and are open to all skill levels. If you want to join in on one of the local Essex County counts, check out the events calendar at Wepbirds.com or at Essexcountynature.com. 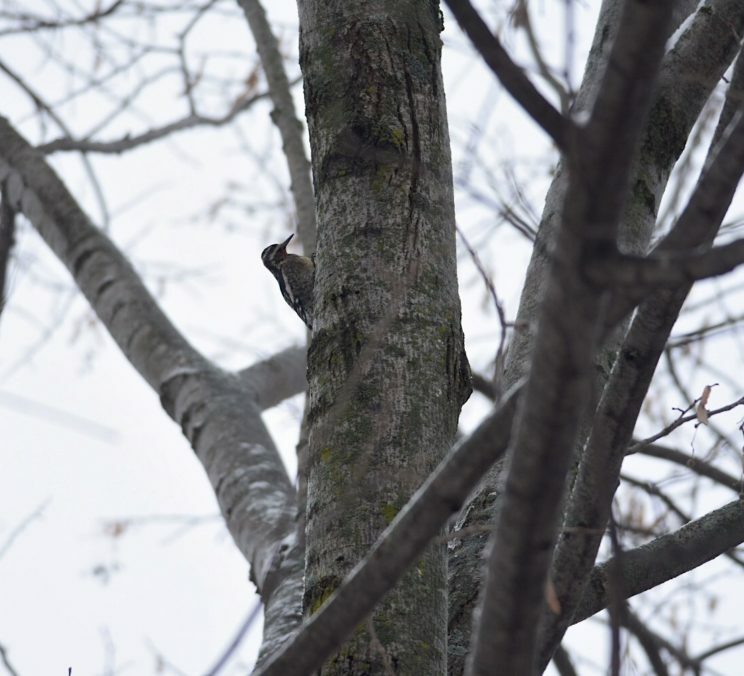 Or visit the Bird Studies Canada page to find a count near you. This past weekend was the Cedar Creek count. I spent the day counting around Jack Miner Bird Sanctuary and north to the edge of the circle with Jeremy Hatt. We walked the fields and trails, and drove the back roads, counting every bird along the way. We did have a few ‘interesting’ moments, including accidentally stepping through what appeared to be human waste out in a spot where you wouldn’t expect such a thing. I had jokingly yelled out “quicksand!” before either of us realized what we were actually stepping in. It was covered in snow and the ‘muck’ was deep. It was nasty to say the least but a memorable moment I guess. 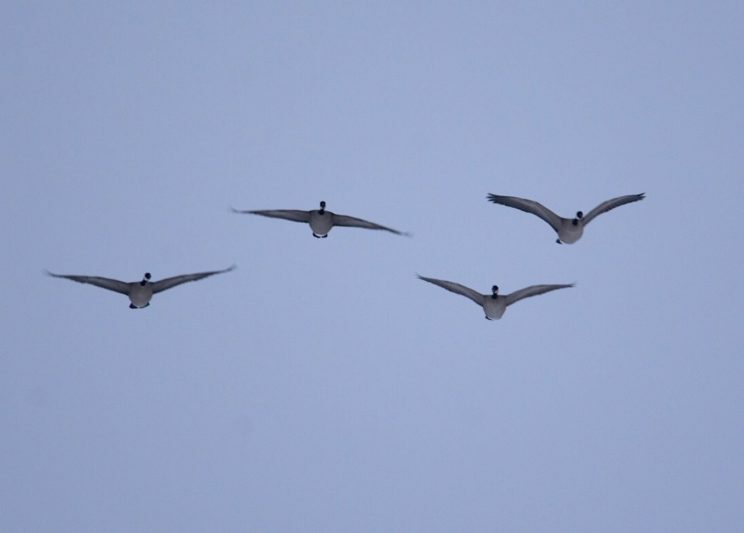 Moving on from that mishap, we did end up finding some good birds in our area. 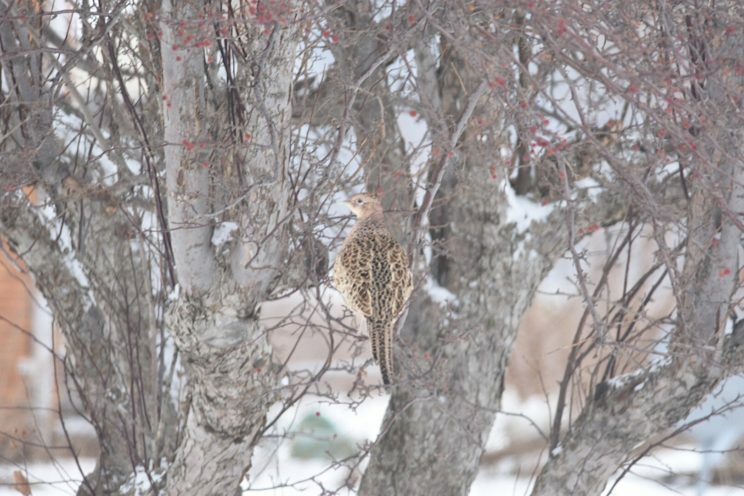 We had 7 Cackling Geese in the fields at Jack Miner, a lingering Yellow-bellied sapsucker in a woodlot and a female Ring-necked Pheasant in a tree. Our best birds of the day came in an area outside of our section. In CBC terminology, this is jokingly called poaching but we couldn’t pass up the opportunity to check this area out. We received a phone call letting us know of a HUGE blackbird flock at a grain elevator. The birds were eating corn that had been dumped on the ground. Jeremy and I had 2 targets in mind – Yellow-headed Blackbird and Brewer’s Blackbird, both rare birds in our area. We made sure we did a good job counting all of the birds in our section before we decided to go have a peek in the other section. We weren’t disappointed. I ended up picking out a Yellow-headed Blackbird after a few minutes of scanning the thousands of common blackbirds and then Jeremy picked out a Brewer’s! Both year birds for us in the county. I was really hoping to hit the 260 mark for Essex County this year and with these 2 birds I’m now sitting at 261. I’m looking forward to seeing what shows up on the Holiday Beach count on the 27th. It looks like we’re in for a change in the weather which could be interesting!